Does PA have air quality issues caused by gas drilling? Back in February the mayor from tiny Dish, Texas visited a number of Upstate NY venues to talk about air quality problems associated with gas drilling. Emissions from the high number of compressors in town have made some people sick. Now it looks like PA may have a similar problem. This afternoon the PA Department of Environmental Protection (DEP) sent out a notice to the press that the agency is responding to odor complaints in two counties and will be analyzing air quality. The DEP is gathering samples this week from areas near natural gas operations in Washington and Greene counties. The agency will conduct their study in four phases with each phase lasting one week. They hope to isolate the source of odors that have prompted complaints from residents. "DEP has received complaints about odors that residents believe are emanating from gas well drilling facilities,” said DEP Southwest Regional Director George Jugovic Jr. Under the Air Pollution Control Act, any entity operating a source of odors may be fined up to $25,000. In the natural gas industry, compressor stations, which are located along natural gas transmission lines and pressurize gas so that it can be piped across great distances, operate under a general permit that limits pollutants by incorporating best available technologies. During the first phase of the DEP study, their Mobile Analytic Unit will collect and compare air samples from a site in Washington County removed from active drilling as well as active drilling sites in Greene and Washington counties. DEP will also analyze air samples collected over a 24-hour period using 12 canisters, some of which will be placed on the properties of residents who have complained of odors. Then they will take samples within 3-miles downwind of sites related to gas well drilling in the Marcellus Shale: active drill sites, compressor stations, drip tanks, well heads, gas well flares and wastewater impoundments. They plan to complete sampling by June. Samples will be analyzed for volatile organic compounds, ozone, nitrogen oxides, hydrogen sulfide and carbon monoxide. Read more here. According to an AP release, US Senator Sen. Bob Casey wants the Environmental Protection Agency to investigate reports of groundwater contamination and other potential consequences of natural gas drilling in Pennsylvania.Casey has requested a meeting with EPA Administrator Lisa Jackson to discuss greater federal oversight of drilling operations. At a press conference today Casey said he is concerned about hydraulic fracturing, a drilling technique in which large volumes of water, along with sand and chemicals, are injected deep underground. Read more here. 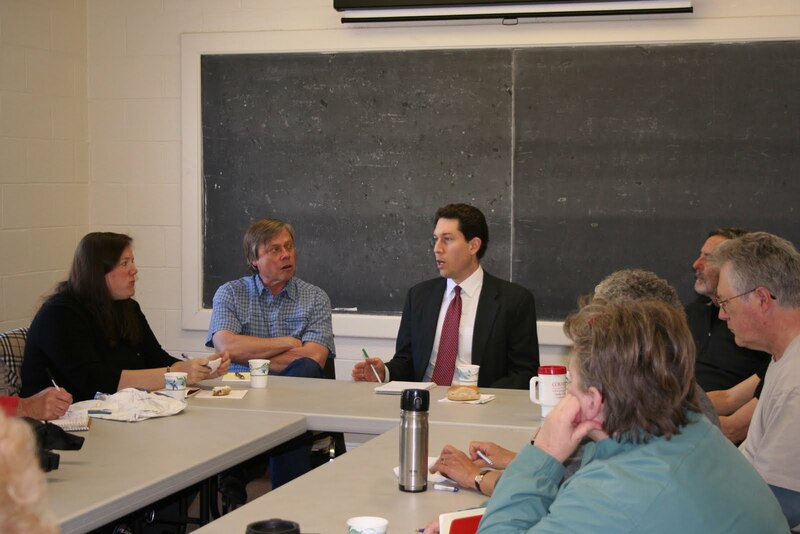 Last week Dusty Horwitt, senior counsel for Washington DC-based Environmental Working Group, spoke to citizens, scientists and elected representatives in communities across Upstate NY. His message: hydraulic fracturing shouldn't be done in places where people get their drinking water. The practice, Horwitt said, is threatening drinking water supplies from Pennsylvania and New York to Wyoming. One of the problems is the use of petroleum distillates in the fracking fluid. Gas drillers have switched from injecting diesel (used as a friction reducer in drilling) to other petroleum distillates. That's largely due to the regulation of diesel. Under the Safe Drinking Water Act, EPA requires a permit for injecting diesel because of its high benzene content. Ironically, EPA does not regulate other benzene-containing petroleum distillates. In late January Horwitt released “Drilling Around the Law”, an investigation into the petroleum-based fracking chemicals used by companies drilling for natural gas. Because of exemptions allowed for fracking, drilling companies are allowed to inject kerosene, mineral spirits and a number of other petroleum distillates into wells. The problem, Horwitt said, is that these distillates often contain levels of benzene much higher than the EPA "safe" level of 5 parts per billion (ppb). That’s equivalent to five drops of benzene in 500 barrels of water. “Ironically, these other petroleum distillates – chemicals that drillers are allowed inject without permits – can contain up to 93 times more benzene than diesel,” Horwitt said. For exanple, Kerosene contains 5,000 parts per million (ppm) benzene - five times as much as diesel. Petroleum naphtha wins the prize with 93,000 ppm benzene - a level that exceeds EPA standards by 18.6 million. 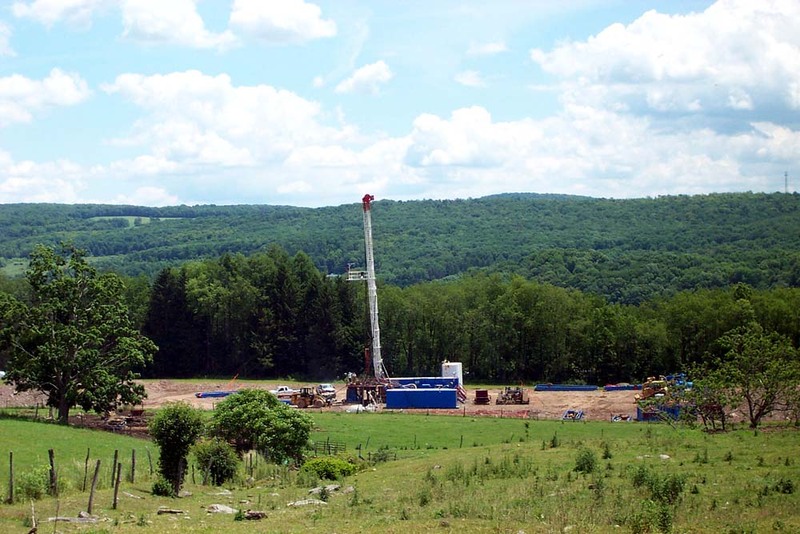 Citing the DEC’s Supplemental Generic Environmental Impact Statement (SGEIS), Horwitt noted that horizontal wells in Marcellus and other shales will require from one to 8 million gallons of water and fracking chemicals. “These are massive operations,” Horwitt said, “pumping fluids into wells at pressures of 12,000 pounds per square inch (psi).” Even before fracking occurs, there are opportunities for spills. Now the companies will tell you there is no problem, Horwitt said. These are the same petroleum distillates used in cosmetics. “But these very same chemicals are banned from cosmetics in the European Union,” he clarified. Drilling companies also insist that they only add small amounts into the frack fluid, Horwitt said. “Point zero eight (.08) percent. It sounds like a miniscule amount, but do the math.” Horwitt’s calculations show that even at that very low level, anywhere from 800 – 6400 gallons of petroleum distillates could be injected for a single frack job. "That's enough to contaminate more than 100 billion gallons of water," Horwitt exclaimed. "More than ten times the amount the state of New York uses in a single day!" Horwitt recommends eliminating the federal exemptions for oil and gas drilling; drilling companies should obtain a permit for any chemical they inject. "Why require a permit for only one type of petroleum chemical?" Furthermore, when Horwitt asked NY Department of Environmental Conservation officials - and officials from agencies in other states - whether they checked to see what chemicals companies are injecting, the response was an overwhelming "No". They [drillers] could easily be injecting diesel,” Horwitt said. Indeed, Halliburton, Schlumberger and other companies admitted, during a Congressional inquiry, that they have continued to inject diesel in some states. Not all drinking water in New York is created equal. As of today, some watersheds will be excluded from the pending generic environmental review process for high volume- horizontal drilling in the Marcellus and other shale formations. 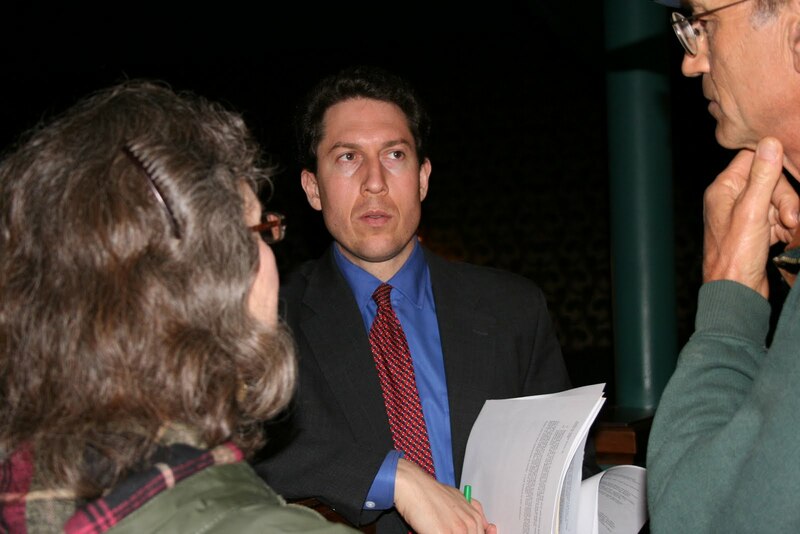 This afternoon, NY State Department of Environmental Conservation (DEC) Commissioner Pete Grannis announced that "due to the unique issues related to the protection of New York City and Syracuse drinking water supplies" applications to drill in those watersheds will require a case-by-case environmental review process to "establish whether appropriate measures to mitigate potential impacts can be developed". At this time there are 58 pending applications for horizontal drilling in the Marcellus shale, but none of those are located in the New York City or the Skaneateles Lake watershed where Syracuse gets its water. At issue: the Big Apple and the Big Orange both use unfiltered drinking water from surface-water sources. These watersheds are subject to Filtration Avoidance Determinations (FADs). The FADs acknowledge land disturbance and usage issues unique to those watersheds and independent of DEC’s ongoing review of the environmental safety of the high-volume hydraulic fracturing process. The federal Safe Drinking Water Act requires that drinking water taken from surface water sources must be filtered to reduce the risk of waterborne disease. If a water supplier is able to demonstrate that they meet strict water quality criteria without filtration, they may request a FAD. In addition, the supplier must prove that it effectively implements a comprehensive watershed management plan. FADs are rarely granted, but both New York City and the city of Syracuse have been issued FADs for their drinking water systems. "The environmental safety protocols included in the SGEIS must fully protect drinking water supplies and mitigate significant environmental risks wherever drilling might occur," DEC Commissioner Pete Grannis said in comments released to the press. "Even with those protections in place, in order to better assure the continued use of an unfiltered surface water supply, there must be an additional review process which may result in associated regulatory and other controls on drilling. DEC will be vigilant in ensuring environmental safeguards," he promised. 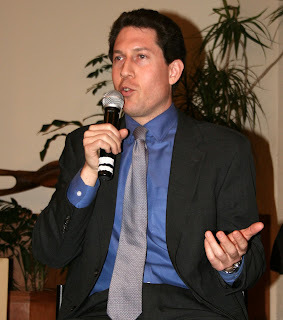 The NY State Department of Health has the primary jurisdiction over the FADs. State Health Commissioner Dr. Richard Daines noted that watershed protection is critical for an unfiltered, FAD system. "The New York City watershed and the Skaneateles watershed are unique in the level of management required to ensure continued compliance with strict water quality standards," Daines said. As a result of today’s decision, applicants for natural gas drilling permits using high-volume horizontal drilling in the FAD watersheds will not be able to utilize the SGEIS. Instead, they will need to meet special requirements relating to the unfiltered surface water supply. That means they will need to conduct individual environmental reviews to address the continuation of the FAD. The DEC will work closely with the state Department of Health, the local watershed communities, and with the cities benefiting from the FADs to develop the additional drilling requirements that may be applicable in the FAD watersheds. Which leaves the rest of us in the region wondering: an' ain't we a Watershed too? This announcement generated a lot of comments from NY legislators. Senator Thomas Duane (29th district) said : "I fear it is a cynical move that will pit New Yorkers against each other ... residents in Manhattan and Syracuse, for example, will benefit from this decision while those living in Ithaca and Jamestown will not." New Yorkers in a rush to see gas drilling in their back yard may want to pay closer attention to what's happening south of the border. Last week DEP fined Cabot, shut down their drilling rigs and won't give even a cursory look at their permit applications. Today the Pennsylvania Department of Environmental Protection (DEP) fined Stallion Oilfield Services $6,500 for illegally transferring fracking water. The Houston, Texas company was caught operating a transfer station without a permit last year at its facility in Old Lycoming Township, Lycoming County. This is not the first time DEP has slapped Stallion's corporate wrist; DEP previously issued a notice of violation to the company in June 2009. They found 21 frack water tanks at the site divided into two staging areas. The tanks were used to store fracking flowback water from natural gas wells. DEP inspectors also found a 450-square foot area where frack water had spilled onto the ground. Soil samples showed high levels of chlorides and barium, common constituents of frack water. Stallion subsequently excavated and properly disposed of about seven cubic yards of soil. DEP followed up with an inspection in August 2009 to confirm that the company had indeed halted the illegal transfer station activity. The agency's North-central Regional Director Robert Yowell told the press that businesses that support the natural gas exploration industry must improve their compliance with Pennsylvania’s waste management regulations. "DEP will continue to look aggressively for these illegal transfer stations and will take appropriate enforcement action whenever we find them,” Yowell said. The problem in NY is that our Dept. of Environmental Conservation (DEC) is woefully understaffed. With 19 inspectors they can't even keep tabs on the 14,000 or so wells already in production. 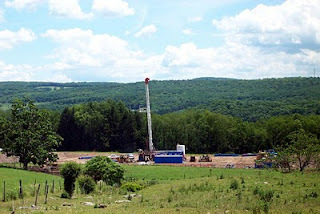 How will they ever oversee casing cementing, frack trucks, water withdrawals and brine leaks coming down the pike once Marcellus drilling takes off? Read the full DEP press release here. 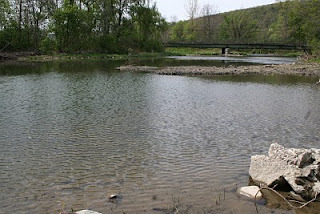 Pennsylvania's Department of Environmental Protection (DEP) is continuing to seek ways to protect the state's water resources. 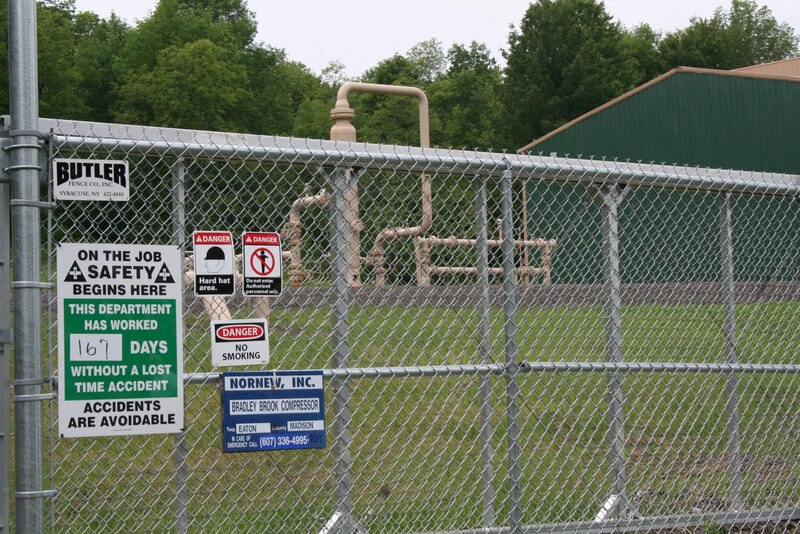 Last week DEP took further action against Cabot Oil & Gas after the company failed to address migrating gas discovered in 2009 from drilling operations that contaminated groundwater and the drinking water supplies of 14 homes in Dimock. Now DEP wants to meet with gas drilling companies to figure out how to prevent water contamination by migrating gas. And, if residents are lucky, how to safeguard water supplies from other other contaminants as well. Yesterday DEP Secretary John Hanger announced that he has called a meeting of oil and gas companies with permits to drill in the Marcellus Shale for Thursday, May 13. They'll gather in Harrisburg. "The Department of Environmental Protection has a constitutional and statutory obligation to protect Pennsylvania’s environment," Hanger told the press. "That right is not for sale and is not subject to compromise." Hanger believes that drilling for natural gas can be done responsibly without putting the citizens of Pennsylvania, their property or livelihoods at risk. "I am urging the industry to come and discuss how to effectively and safely prevent gas migration, protect our natural resources, and ensure that what happened to the residents of Dimock Township, Susquehanna County, does not happen elsewhere," Hanger said. He added that gas migration is unacceptable, and the DEP is taking whatever steps necessary to address the issue. "In addition to increased oversight, the department has proposed tougher regulations to meet the growing demand and new drilling technologies including improving well construction standards to protect from gas migration," Hanger said. Yesterday, April 15, the PA DEP took aggressive action against Cabot Oil & Gas in an attempt to enforce environmental laws meant to protect the public. DEP ordered Cabot to plug three wells within the next 40 days. These wells are believed to be the source of migrating gas that has contaminated groundwater and the drinking water supplies of 14 homes in the region. Cabot must also install permanent treatment systems in those homes within 30 days. In addition, DEP Secretary John Hanger said DEP is immediately suspending review of all Cabot’s pending permit applications for new drilling activities statewide until it fulfills its obligations. Furthermore, DEP is prohibiting Cabot from drilling any new wells for at least one year in the Dimock Township area. “Cabot had every opportunity to correct these violations but failed to do so," said Hangar, referring to Cabot’s failure to abide by the terms of a November 2009 consent order and agreement with DEP. Instead, he said, "the company ignored its responsibilities to safeguard citizens and to protect the natural resources there." During recent inspections, DEP identified five additional defective Cabot gas wells and another home water supply that has been affected by gas migration, bringing to 14 the number of impacted water supplies in the Dimock area. Cabot paid a $240,000 fine that was deposited into PA's well-plugging account. Now Cabot is obliged to pay $30,000 per month beginning in May - until DEP has determined that the company has met its obligations under the 2009 order. “Companies drilling in the Marcellus Shale have the legal responsibility to design and construct their wells to keep all gas contained within the wells and to prevent gas from moving into fresh groundwater. These standards are not mere suggestions or recommendations,” Hanger said. What NY needs to learn from PA's experience is that we need strong regulations and vigilant inspections of all aspects of the natural gas industry. Just this week DEC Commissioner Pete Grannis admitted his agency is understaffed and overworked as they try to develop the regulations for high-volume hydrofracking & horizontal drilling for Marcellus Shale. And residents at a meeting down in Athens Monday night said, "New Yorkers should learn from our mistakes." They were a bit miffed at being the guinea pigs for Marcellus drilling, but sincere in their hope that their northern neighbor would end up with better environmental safeguards. 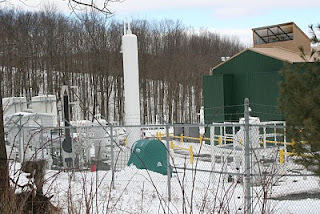 Compressor station on Federal Road in Erin, NY (Chemung County). When Calvin Tillman, mayor of Dish, Texas came to visit upstate New York in February, he talked about the air quality issues facing his small town. Dish is in the heart of the Barnett shale and at the crossroads where 11 high pressure natural gas pipelines converge. Five energy companies have installed a dozen compressors and associated gas treatment facilities; there are four gas metering stations in town and 18 gas wells within the corporate limits. Another 50-plus gas wells are located immediately beyond the town’s limits. The problem, he said, is that toxic emissions from the compressors are causing health problems for residents in town. Finally the Texas State Dept. of Health took heed and, in January, they took blood and urine samples from 28 people in the little town. Today, Peggy Heinkel-Wolfe reports in the Denton-Record Chronicle that the same pollutants found in the air are also found in residents' bodies. The health department found toluene, butadiene, and N,N-dimethylformamide in the samples. All three compounds are among 187 airborne toxic substances that the Environmental Protection Agency is supposed to monitor, notes Heinkel-Wolfe. According to studies compiled by the US Dept. of Health and Human Services, dimethylformamide can cause liver damage, butadiene can cause cancer and toluene can affect the nervous system and the kidneys. But while everyone has been focusing on the pollutants in the air, they've been overlooking the water contamination. Last August researchers found ethylbenzene and styrene air samples. Now the state health investigators have found both ethylbenzene and styrene in private drinking water wells. 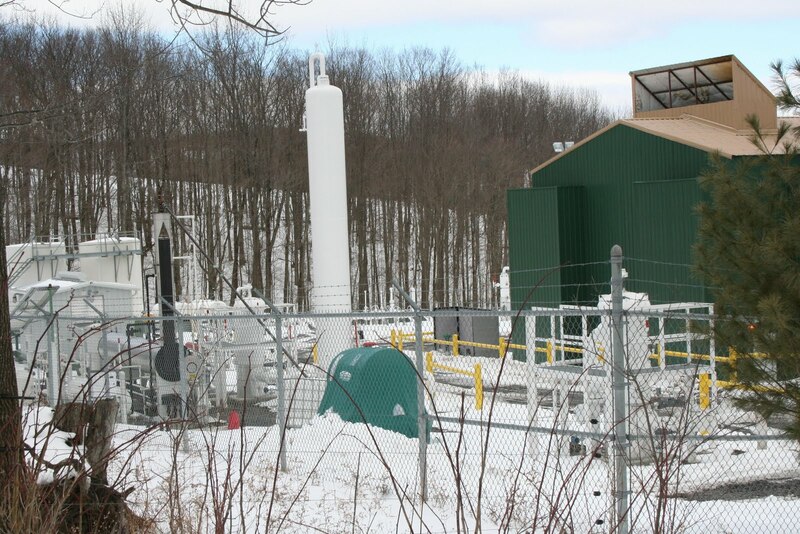 While it's true that upstate NY don't have a 30-acre site with a dozen compressors like Dish has - at least not yet - we do have compressor stations scattered throughout our countryside. Near me, there is a compressor station up on Cooper Hill in Van Etten and another one on Federal Road in Erin (article, post). Both are located in rural areas, surrounded by fields, forest and the occasional house. But, says the Erin code enforcement officer John Mccracken, more will come with development of Marcellus shale. There are about 20 drilling applications for Erin (no permits yet) and Mccracken estimates that Erin might see another five compressor stations. There's lots of evidence that urban air pollution harms human health. It's been harder for rural people to show that industrial activities harm their health. But now it looks like the evidence is finally showing up. The lesson NY needs to glean: Permits need to take into account the cumulative air quality, not just the individual station. Oh, and along with those noise-baffling walls, require the energy companies to install compressors with up-to-date vapor-capture technologies that result in negligible emissions. Watertown Daily Times journalist Robert Brauchle reports that on Monday, April 5 the Watertown City Council voted by a slim majority to continue accepting frackfluid and brine from natural gas wells. 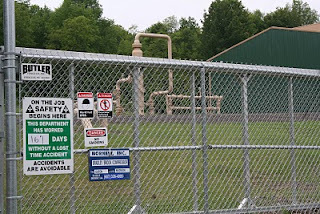 Back in January there was some controversy when the City sewage treatment facility accepted 35,000 gallons of mixed brine and frack fluid from the Ross well in the town of Maryland (Otsego County). The vertical well, drilled 4950 feet into Utica Shale, was hydraulically fractured to release the natural gas trapped in the rock. At that time, the president of the Canadian company developing the well said they planned to ask the city to treat flowback fluid created by future wells. He estimated that each well would produce from 35,000 to 40,000 gallons of brine and frack-flowback. According to Brauchle’s report, Councilwoman Roxanne M. Burns moved that Watertown issue a formal declaration stating it will not accept the wastewater. The mayor backed Burn’s motion, but the three other council members voted to continue accepting drilling waste. The drilling company has asked the city to treat an additional 80,000 gallons of flowback fluid. Some residents disagree with the council. Wrote one (in comments to Brauchle's article): We are taking a huge risk of contaminating our beautiful lake and river for an amount of money that is incredibly small. I can't even believe that can be the right amount, $1,125 dollars? That won't pay a lawyer long enough to file a suit against the company if the pollutants get into the river and lake. Of course, by that time they are long gone anyway, it happens all the time. How many waterways do we ruin before we learn? Yesterday, April 6, the Pennsylvania Department of Environmental Protection issued a call to action. "PA must take action to protect water resources from drilling wastewater and other sources of TDS pollution," they said in comments released to the press. 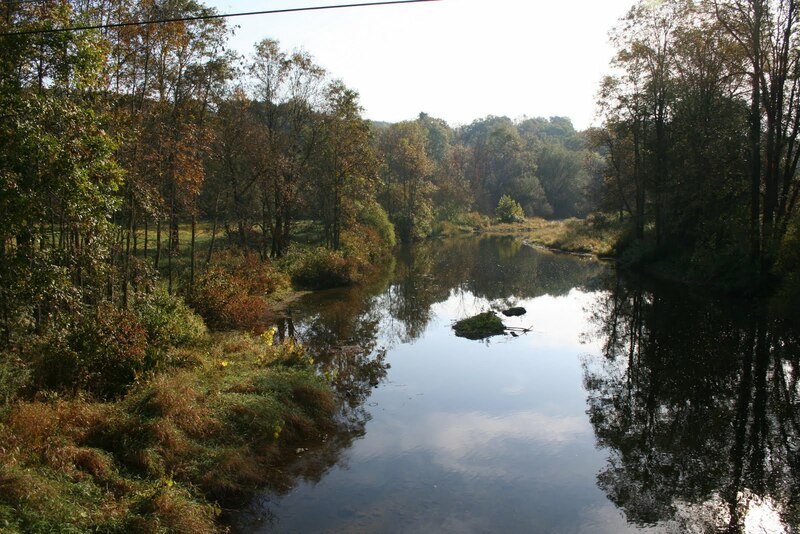 The problem: high levels of total dissolved solids (TDS) pollution from natural gas drilling and other sources are threatening Pennsylvania’s streams and rivers, "including aquatic life," warned DEP Secretary John Hanger. "Treating and disposing of gas drilling brine and fracturing wastewater is a significant challenge for the natural gas industry because of its exceptionally high TDS concentrations,” Hangar said. Pointing to the rapid growth of Marcellus drilling he added, "Our rules must be strengthened now to prevent our waterways from being seriously harmed in the future." Hanger then listed some recent cases where TDS impaired streams and affected major sources of drinking water. In 2008 and 2009 the TDS levels exceeded drinking water standards along the Monongahela River, a major source of drinking water. And again in early September 2009, excessive TDS levels led to an environmental disaster that wiped out 26 miles of Dunkard Creek in Greene County, as well as many miles of the creek in West Virginia. High TDS concentrations, combined with temperature, nutrients and other environmental factors created the ideal conditions for a golden algae bloom - and inhospitable conditions for other aquatic life. The algae released toxins to the water column that "literally wiped out aquatic life, including at least 16 species of freshwater mussels and 18 species of fish," notes the press release. "Dunkard Creek is an example of what can happen if TDS is not controlled," said Hanger, calling the loss of this important public resource an environmental and economic tragedy. You may read the entire press release here. 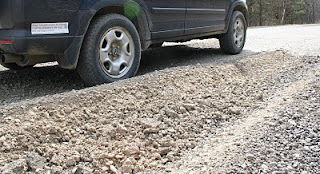 Ruts in Rumsey Hill Road near the Morey Road intersection. Saturday a friend who lives in Van Etten invited me to drive up his road. "It's being ruined by the heavy trucks working at the well site up the hill," he said. The irony: those trucks are carrying the rock needed to fix up the well pad so the drillers can do their work. So I drove up Rumsey Hill Road. It's still in good shape where it takes off Wyncoop Creek, where the sign says "Weight Limit 10 Tons". 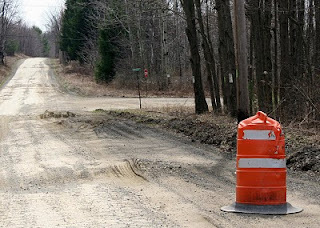 Over the past few years the Town highway department has been putting down oil and stone and, last year they'd just finished extending the improvements not quite to Shoemaker Road, but a good distance up the hill. "It took only 8 days to ruin that road," said one of the Rumsey Hill residents. The constant pounding of heavy trucks destroyed the stone & oil surface, crumbling it back into dirt. And adding lots of ruts in the process. the ruts are so bad that a couple of motorcycle riders have bit the dust and the residents worry that fire and EMS vehicles might not be able to drive up in an emergency. There's still a good portion of Rumsey Hill Road that remains dirt, with farms and residences along it. The ruts up near Shoemaker Road were so bad that the town put up markers cautioning drivers to avoid that section of road. How deep are the ruts? Well, if you don't have four-wheel drive you could easily high-center your car or put a few dents in your exhaust system. And this is what 8 days of truck traffic has done - the drilling hasn't even started yet, and this is for a vertical well into the Oriskany formation, not Marcellus. Though, to be fair, Epsilon admitted they have plans to go after Marcellus later, once the DEC sorts out the new regulations.